The publication of the general theory of relativity in 1915 led to the Schwarzschild metric in 1916, which predicts very efficient conversion of gravitational energy into radiation. At the dawn of radio astronomy in 1930s, strange radio sources were discovered across the sky. Some of these sources are later identified as powerful radio galaxies driven by accretion of supermassive blackholes. In early 1950s, radio emission from the elliptical galaxy of M87 was discovered, which turns out to be driven by a supermassive black hole of more than 3billion solar masses. Consequent high resolution radio imaging of this source shows that the shadow of the supermassive black hole in this Galaxy may be revealed with global VLBI with an angular resolution of a few tens of micro-arcsec. In 1970s, a bright compact radio source was discovered at the center of the Milky Way Galaxy , which was attributed to accretion of a supermassive black hole in early 1990 by Melia . The mass of the supermassive blackhole is about 3 million solar masses. 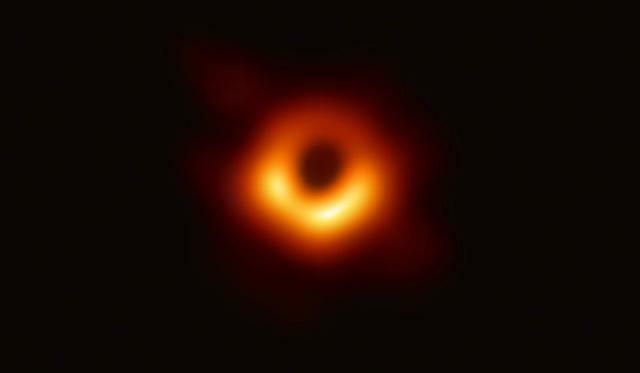 It was noticed that this blackhole may also be imaged with global VLBI . 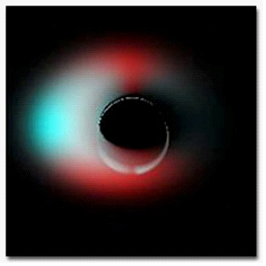 A physical motivated model was proposed by Melia and Liu for the accretion flow near this supermassive blackhole in 2000 [4,5] and a polarimetic image was obtained in 2001 by Bromley, Melia, and Liu via ray-tracing calculations ( Figure 1 ). A similar accretion flow exists in M87 and we expect similar images (Figure 2). EHT observations more or less confirm this model prediction.